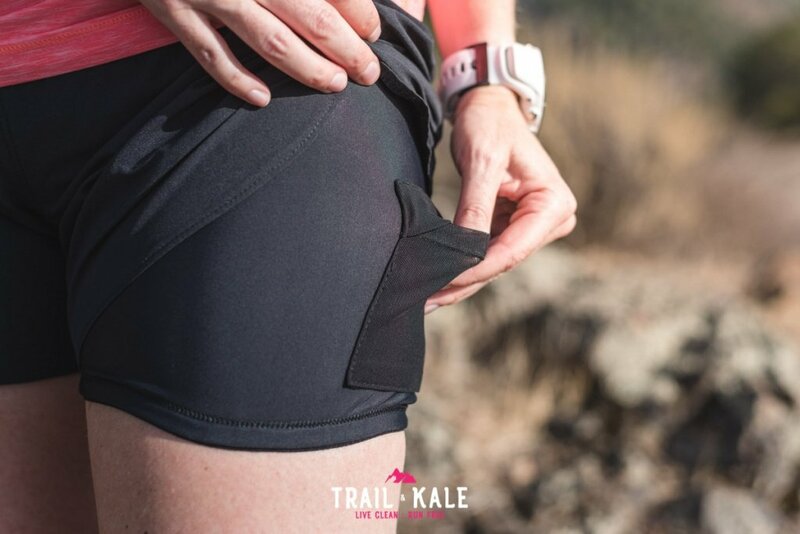 To prevent this issue I have been searching for longer length running shorts that do not ride or roll up my thighs. This requires the fit to be spot-on, and a rubber grip on the shorts’ hem, to hold the material in place against my leg. 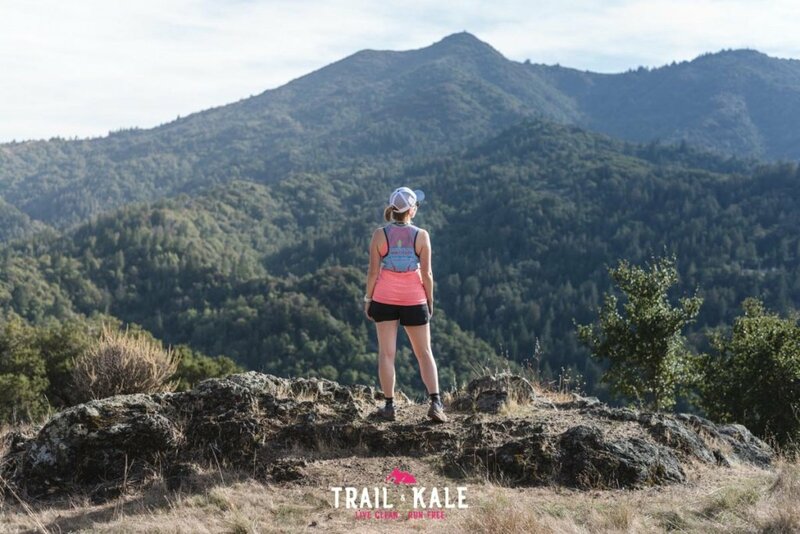 There are a few options on the market, but many of them are either very compressive (which can be uncomfortable at times), or are more revealing than I would like (such as skin-tight, glute and crotch-hugging shorts). 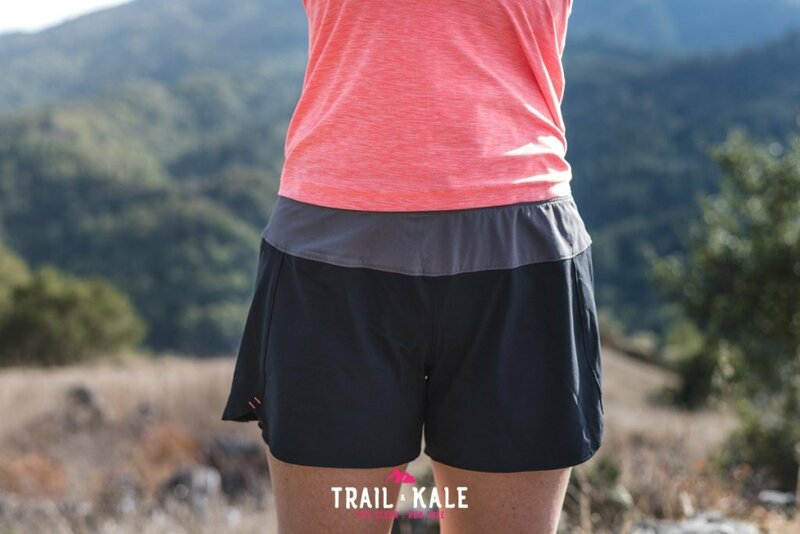 Title Nine sell a pair of women’s running shorts called the ‘Holy Grail‘. Could these be what I was searching for? 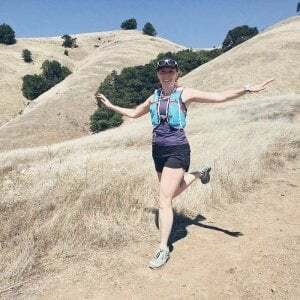 I’ve run for hours in the Holy Grail shorts, in the heat and humid weather, to give them a thorough testing and have so far not encountered any chafe issues. They feel so comfortable when on that I hardly notice I’m wearing them! If you’ve read some of my other blogs and reviews, you’ll know that I will try to avoid having to wear underwear under shorts or leggings, wherever possible. This is to minimize the layers of fabric that have the potential to hold moisture and chafe. Therefore, I prefer shorts that have built-in liners designed for wearing alone. The Holy Grail shorts do not have such a liner. You could go underwear-free, but from looking at the seams I would not want to, so I had to search for some knickers designed to be worn during sports. i.e., Sweat-wicking, quick-drying, and therefore definitely not made from cotton. The best knickers I’ve found for this purpose are Under Armour’s ‘Women’s UA Pure Stretch Sheer Hipster‘. Nope, I’m not sharing pictures of me wearing these. But I can tell you I wear them under the Holy Grail shorts, and running leggings, and they’re comfortable and don’t show through my leggings. The shorts have a small pocket on the left leg, which will fit a key and a credit card/office pass. It doesn’t do up, but is covered by a fabric flap, so I wouldn’t risk having anything too valuable in there. I may add a button / snap / velcro to help make it a bit more secure for my house key, etc. Title Nine kindly sent me a matching tank top and tee to wear with the Holy Grail shorts. The tank top ‘Live Wire Tank Top‘ comes in a range of lovely colors, I have it in pink (‘Coral Pop’) as shown in the photos. 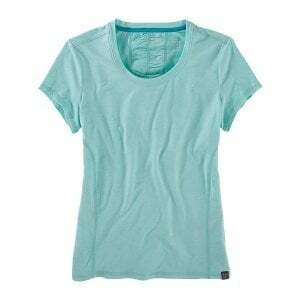 The tee is the ‘Grace Short Sleeved Top‘ in ‘Robin’s Egg’, which is a pale blue-green. The fabric of these is brushed, and very soft and comfortable, and is a wicking blend of stink-resistant spandex and micro-poly. Both have some nice details, with ruching, and a fitted but not-tight fit, and the t-shirt has a zip-up pocket on the left side, which is handy when I wear it with the shorts, as the pocket is a safer place for a key because it does up. As the fabric is so lovely and soft, these tops almost seem too nice to get muddy! I wear them on mild days or under longer layers. The fabric is good quality and fairly thick, which means it is flattering and not see-through. 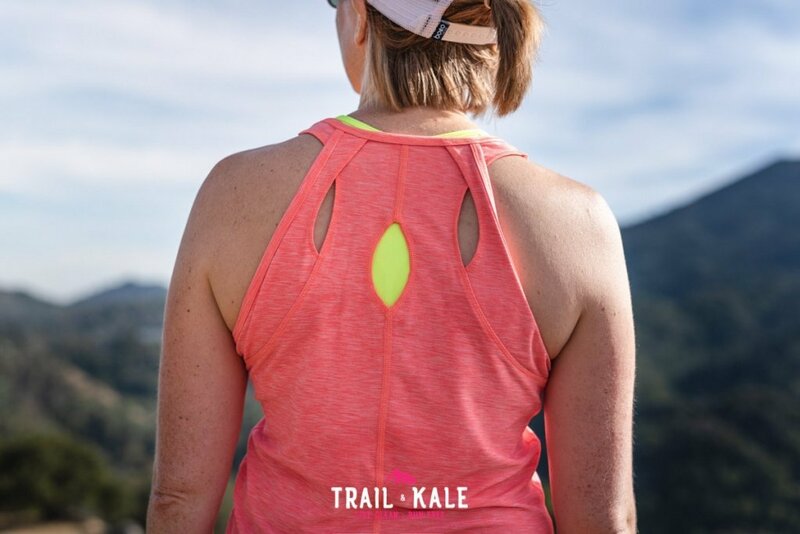 I opt for either the vest or a different top with thinner fabric on very hot, sweaty runs, though, as the tee runs warm due to the thicker fabric. At an RRP of $49 and $54 for the tank and tee respectively, versatility is important, so I can get a lot of use out of them. The nice fit and fabric, together with the ruching touch (on the tee), means that I can also wear both tops casually around home, local eateries and on bike rides, etc, without looking like I’ve just been for a run (unless I have and am all sweaty 🙂 ). 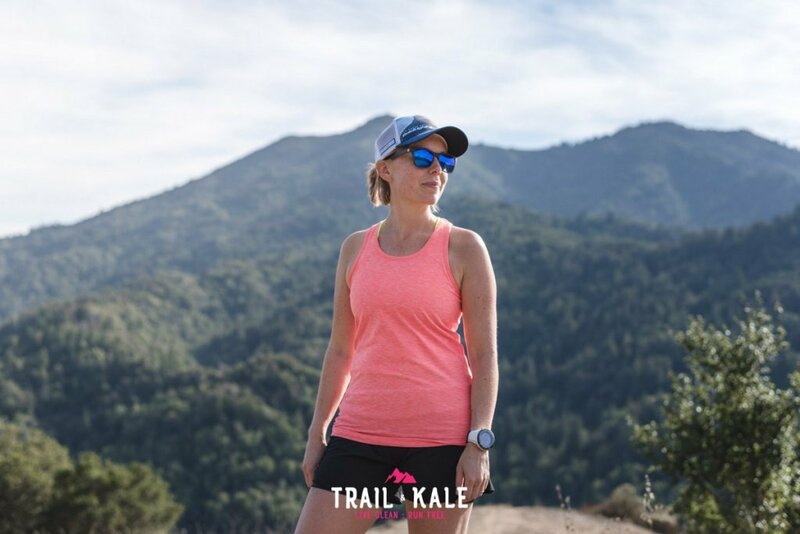 The sizes of both the shorts and tops are true to other running brands I’ve worn. If in doubt, the website recommends to size up where you’re borderline between sizes. I was in between sizes for the shorts, so went with a Medium, and Small for the tops. Medium was definitely the right choice for the shorts – small would have been too small. 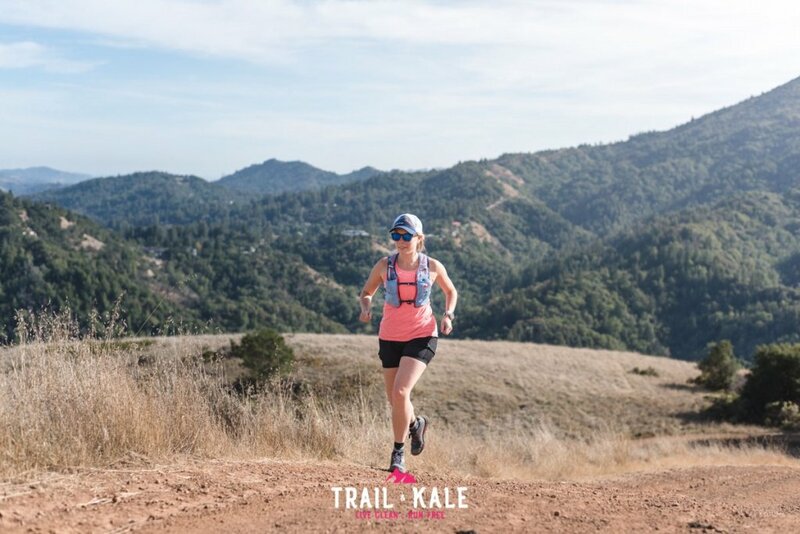 Title Nine’s Holy Grail Running Shorts are the most comfortable twin-layer running shorts I’ve worn. I’m impressed with the quality, fit and, importantly, length and silicone grip that stops them riding up, keeping me chafe-free! I also love the fit, fabric and colors of Title Nine’s matching running vest and tee. Together with the shorts, they make a great outfit that I look forward to putting on and running in.